I was walking on the street and noticed the lights at the entrance of the Shiva temple and clicked this pic from my iPhone. 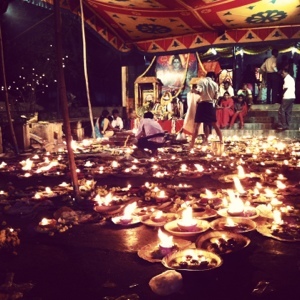 People light the earthen lamps during the last day in the month of Karthika at the Shiva temple. According to the Hindu calendar, Karthika maasa is an auspicious month and is favourite of Lord Shiva.